In this blog post, we are featuring 2 designers, and it’s a special one because we spotlight the GE Transportation (GET) brothers; both of them rule the GET leaderboard in 1st and 2nd place. Q: When did you join Topcoder and where did you hear about it? eriantoongko: I joined Topcoder in June 2011, after my college friend [nofear] told me about it. I was skeptical that day, so after I registered, I never participated in any challenge until August 2013.
tewibowo: I joined Topcoder on November 2015 after being introduced by my friend Panji [kharm]. Q: You progressed a lot since you came here and I see now you’re in 3rd place on the TCO leaderboard. What part of Topcoder’s model helped you the most? eriantoongko: Fingers crossed about TCO. This is a high expectation that I had never dreamt about. 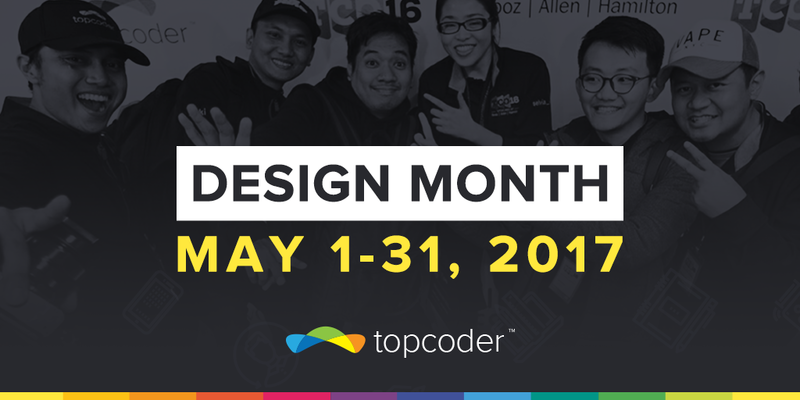 I came here to Topcoder to learn about design and earn money to be free — like what [chekspir] said. I just try doing my best for the challenges that I compete in and win a placement. I have lost in many challenges that I have participated. So I can say, it’s just my luck here that I got a spot on the leaderboard. 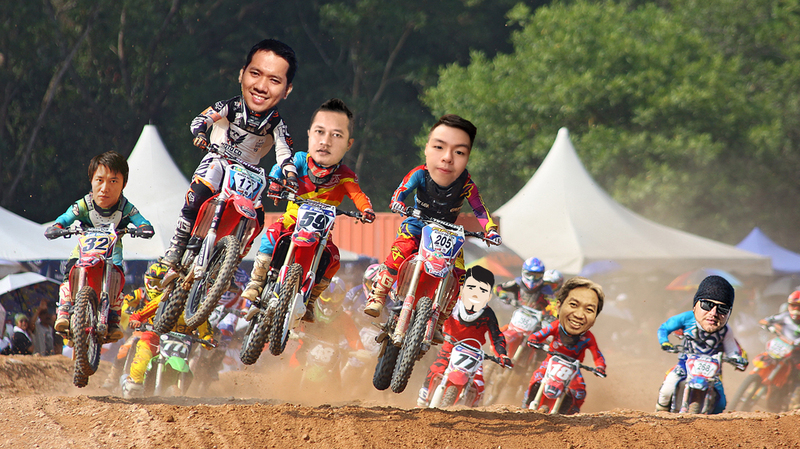 I believe attending the TCO Regional twice in Indonesia helped me to realize I must start taking Topcoder seriously. Then I’d review what I had done recently and adjust myself by setting out to be better each day. 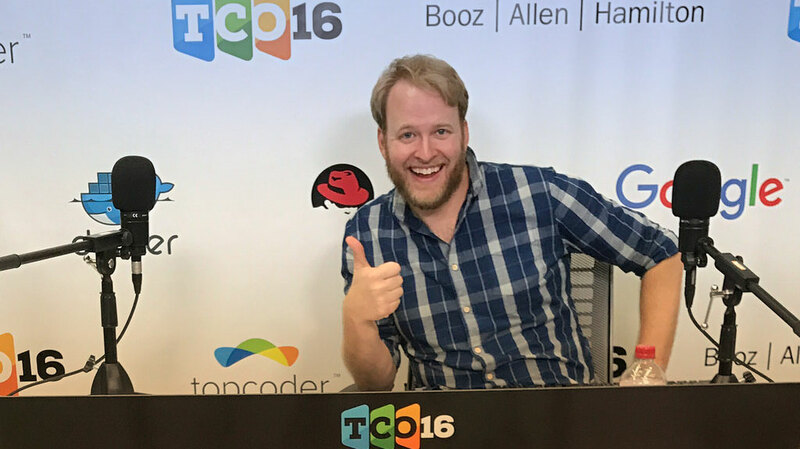 Q: When you arrived at Topcoder, you were already an experienced designer, and now you are already qualified for TCO17. Have you worked for a company before? tewibowo: Yes, I used to work for several companies — from advertising, startups, and multinational companies. Q: Do you have a link to an online portfolio? eriantoongko: I do have a link to an online portfolio. The main one is my profile on Topcoder. I have another on Behance and Dribbble, which I try to keep updated with my recent work. Q: Which online design magazine do you check daily and what do you like most about it? eriantoongko: I don’t have any design magazines that I check daily. I actually like to do my own research on a specific topic and then get lost in it on Medium, or in any link that pops up as a search result. What I like about Medium is that sometimes it tells a story from the designer’s perspective; they discuss the problem and how to find the best solution. But to be honest, their solution may not work for your problem, so keep doing research! tewibowo: I don’t really have regular magazines I read daily. I’d prefer to watch, rather than read. Q: You are doing very well on the speed challenges (RUX, GET) as the leaderboard shows. How do you work fast and deliver good concepts with a polished user interface in such a short time? eriantoongko: Thanks to the early information that is provided, I can set my time to prepare to work with RUX and GET. After registering on the challenge, I take note about what the problem is that is listed on the spec. A well-written spec will help you understand it (thanks for copilot/PM who wrote it). Then I reread the spec again this time to list what I should do. Then I do my research before I start doing the RUX/GET. Also, I make sure to post a question in the forum if something is still bothering me. tewibowo: The first thing to do is to understand the challenge brief and the problem to tackle. The more we understand, the faster we design. Here’s a tip from me: in a rolling checkpoint system — especially RUX — I try to send only one or two screen concepts before the checkpoint deadline to know how the client responds with my concept and interface mood. After that, I will send the revised concepts for the checkpoint phase and send another one for the final phase after checkpoint. This way I receive more feedback so I will understand more. Q: On the GET challenges, you rocked it! Got 2 first placements, 2 second placements. How did you do that? Did working on all GET challenges help to win? eriantoongko: Recent RUX and GET challenges came from the same client/area that I already worked on last year’s workshop in Jogja. I remember that we spent 2 days struggling to deliver the solution in a tight timeline. Adam [adroc] put the problem into 3-4 hour block challenges and we delivered in that short time. At the end of each challenge, he discussed our designs and provided feedback. Back to GET/RUX… I think all participants in that workshop got an advantage. Working with the same client and problem also helped me. First, I can reuse previous design assets in my design. Secondly, a deeper understanding about the client branding — the color, font, and style the client uses in their design. 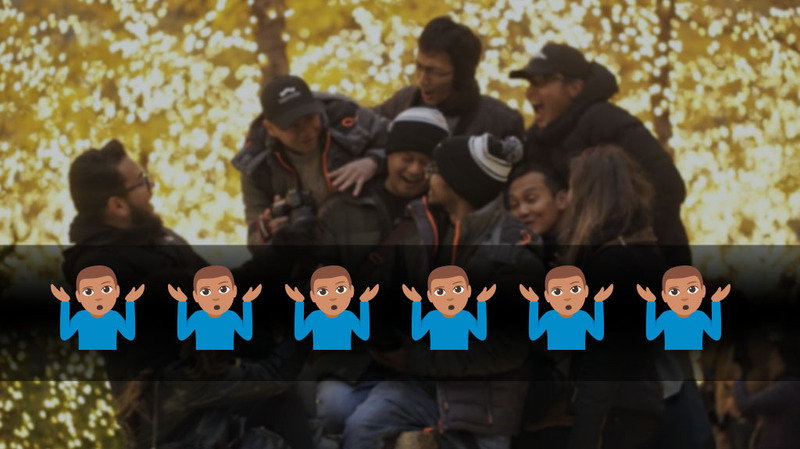 tewibowo: Yes, of course, I think I have the upperhand on GET challenges, because I keep competing in GET challenges from the first GET until now… so I get more understanding of the problems. Of course I GET lucky too! Q: How many years of designing do you have behind you? Are you doing freelance work as well? eriantoongko: I started to learn design when I was in college. It was just my interest in playing with Vector app. I got serious when I joined Topcoder. So that would be 4-5 years. Well, please note that sometimes I take a hiatus from designing. Before, I was a lecturer from 2007 to 2014. I started doing freelance in design in 2013 and then I decided to quit my job as a lecturer at the end of 2014 and started focusing on Topcoder after that. tewibowo: I started to learn using Photoshop in my highschool years (maybe 2006-2008), and majored in design at college after that… And yes, now I also work as a freelancer. Q: Do you have anyone in the design community you admire? eriantoongko: That would be (in alphabetical order): [abedavera], [adroc], [DaraK], [gh3ablo], [iamtong], [yoki], and many more who inspire me with their own style and approach. 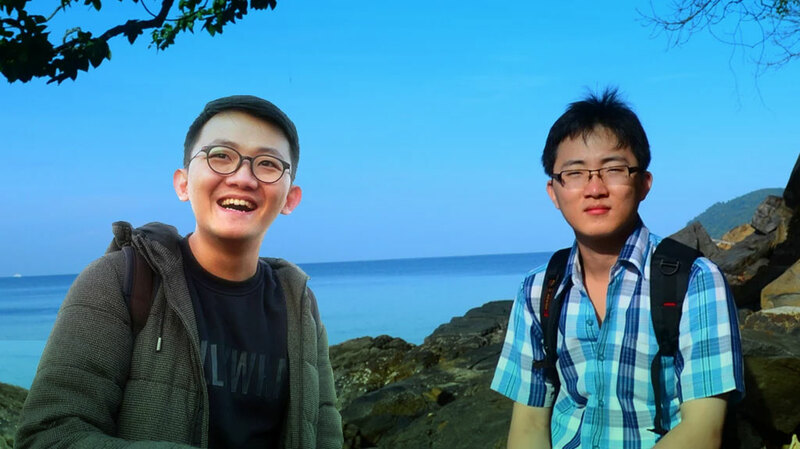 tewibowo: From the Topcoder design community, I admire mas [yoki] & bang jun [abedavera]. The first time I met them was at TCO16 in Washington, D.C. They were really keen to share their experience and even the technical skill with the community. I am lucky to know and learn from them. Q: I saw you have been very active lately. How do you manage to work on multiple challenges at the same time? eriantoongko: I’m not the type that can participate in multiple challenges at the same time. I try to finish/submit one challenge and then move to another challenge. If another challenge has enough time, I will give it a shot. tewibowo: When the deadline is really tight, it changes which challenges and personal projects are important or urgent, important but not urgent, urgent but not important, or not urgent and not important. I start from the important and move to not important. (And of course, more coffee to stay up late at night). Q: What do you do when you need a break? How you spend your time? eriantoongko: When I need a break, I just take it as working from home. I have the opportunity to do what I like. If not working, I like to spend my time doing my hobby. Currently, I am planning to add a new Aquascape tank in my room and change the layout of my old one. I do like gardening — flowers, plants. This helps me soothe the tension after staring at the monitor for a long time. Aside from that, I will feed my koi or will enjoy reading, listening to music, watching a movie, cooking. Anyway, did I mention that my lotus just bloomed for the first time? tewibowo: Playing games, dating, meeting some friends, looking for a nice place to hang out, and hunting for great food always trumps it all. Q: What have you learned at Topcoder that has helped you in your daily life outside of it? eriantoongko: I have learned a lot from Topcoder. First one is copyright and plagiarism! I remember that I kept failing the screening phase because I used artwork that is not mine, which is a big no-no for me now. I also learned how to prioritize things and make plans. tewibowo: Before I knew topcoder, I focused on graphic design only. But now I have learned so many things especially; UI and UX, and of course, the technology trend concepts nowadays in the business industry. This helps me to tackle many of my clients’ problems outside of Topcoder. Q: What is your working motto? eriantoongko: I think I have had it since middle school after listening to Do As Infinity’s album, Do the Best (P.S. [gh3ablo] must know this band!). Inspired by their band name, I got my own motto, which is: Do the best for your best. I believe even if that hard work failed that time, it will be fruitful in time. Just keep trying and you’ll be amazed. tewibowo: Be excellent! Give more than what others expect.